A large number of medical studies have shown yoga to be extremely beneficial for the heart and various heart-related problems we suffer from. A recent Swedish study at the cardiac intensive care unit at Danderyd University Hospital, Stockholm, clearly demonstrated that MediYoga reduces the risk of heart attacks. The results were so unambiguous that the hospital has made MediYoga a regular part of coronary patient rehabilitation since January 2010. A study of MediYoga to treat atrial fibrillation (heart rhythm disorder), has been in progress at the same unit at Danderyd since November 2009. Karolinska University Hospital, Stockholm, Sweden, is also conducting a study on MediYoga for heart failure. 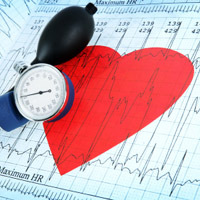 Simple advice for people high blood pressure and other heart trouble. Below are a few simplex exercises you can do if you have problems with high blood pressure, vascular spasms, cardiac fibrillation, heart failure, tachycardia or other heart trouble. However, please consult your doctor before starting. The yoga programmes used in the studies above, Start-Up Package 1, 2 and 3, are available for purchase on CD – Click here.